Gain the modern tools and techniques you need to manage 21st century engineering and manufacturing organisations. Our MSc Strategic Engineering Management will equip you to make a significant contribution to a company’s performance and productivity. 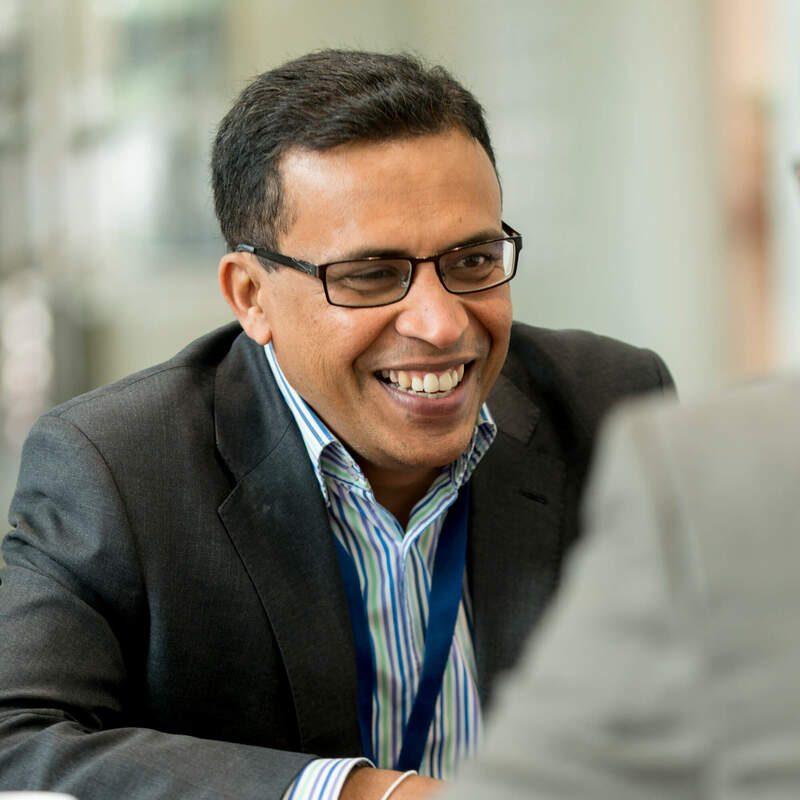 Academically rigorous and completely related to practice, our MSc is specially designed for engineering and science graduates – and other professionals with relevant backgrounds – who aspire to management positions irrespective of their specialisation. It is also ideal for recent graduates as it broadens their career scope. Across many sectors there is an increasing global demand for expertise in engineering operations management, logistics and supply chain, sustainable development and continuous improvement techniques such as lean and Six Sigma. Today’s employers are seeking graduates who can demonstrate a strong understanding not just in the technical disciplines but also in areas such as operations and supply chain management, strategic business issues, process improvement, system modelling and simulation, enterprise resource planning and project management. Our MSc delivers the high-level skills, knowledge and strategic insights you need to make the most of these opportunities. This course offers flexibility so that you can choose the areas of technical and management advancement you would like to focus on. Specialist options will enable you to match your studies to your career aspirations and to contribute effectively to improving your company’s performance in priority areas. You will benefit from a variety of teaching methods, including real case studies, work-based learning, research-based learning, laboratory work, guest lectures, individual and group projects, and interactive online materials. The core activity of any organisation is its operations, and the performance of the organisation is determined by how well these operations are managed. This module takes a detailed look at the decisions engineering managers need to make about operations in manufacturing and service organisations. In particular you will focus on the notion of supply chain management and the competitive benefits that may be gained from the adoption of supply chain and logistics perspectives. On completion, you will be equipped with an understanding of the concepts, methods, techniques and tools that enable you to analyse and implement solutions to operations and supply chain management issues in engineering and manufacturing organisations. This module will investigate the application of latest developments in advanced manufacturing technologies and rapid prototyping (RP) techniques. It will develop your knowledge and ability to critically analyse various processes such as EDM, water jet cutting and laser-based technologies. The module will also focus on newer technologies targeted at micro/nano scale manufacturing. In addition, sustainable and environmental aspects and their relevance to the manufacturing sector will be discussed. In today’s globally competitive environment, an organisation will find it very difficult to operate and survive with silo information systems. Organisations need to be agile and flexible, and will require the same from their information systems. These systems need to have integrated data, applications and resources from across the organisation. Enterprise Resource Planning (ERP) systems, such as SAP and Oracle, integrate data across - and are comprehensive in supporting - all the major functions. This module provides a critical understanding of operation, structure and implementation issues around ERP systems as used in industry. Topics covered include understanding ERP systems; the planning, design and implementation of ERP systems; ERP functions such as sales and marketing, manufacturing and material management, accounting and finance; ERP software selections; and managing ERP projects. The module also provides insights into key areas of project management to enable you to work within or to lead a project team. You will gain a critical understanding of the latest advanced techniques and strategies for project management, including project management life cycle, management tools, management and reporting methods, and team building. You will undertake a significant work-based project to solve a complex engineering management problem within or beyond your own operational area at work, using academic methodology and applications. Your tutor will advise you if you need formal postgraduate study to support your technical development as part of this module. The Negotiated Module encourages you to engage with a specific aspect of professional practice that should complement or extend your academic studies at masters level. The module includes aspects of negotiation, project management, target setting and implementation of objectives situated in practical experience and realised in the context of work-based learning. The alignment of the agreed project aims and objectives with the required learning outcomes is integral to the successful completion of this module. During this module, you will develop your managerial skills in preparation for working in a global industry environment. You will study strategic concepts and learn how to transfer them into your own industry or specialism using a structured approach. You will focus on managing the global future by analysis rather than by instinct and will become adept at forecasting and financial analysis, while considering business ethics. The Continuing Professional Development (CPD) element of this module means that you will be able to contextualise and concentrate your studies in your own discipline to improve your employability. Many innovative organisations are adopting the use of lean, Six Sigma and TQM initiatives as part of their strategy for improving efficiency and productivity. These process-driven initiatives are large-scale, cross-functional and rely on individuals being able to drive change, process innovation and lead and communicate across multiple disciplines. During this module, you will discover the challenges faced by organisations to make sustainable change and compete in dynamic markets. You will be challenged to develop confidence in your personal competences, impact characteristics and skills as a leader/change agent. You will explore cultural, political and behavioural challenges associated with organisational change. More specifically, you will be given the opportunity to develop your social and emotional competencies using a 360 degree feedback tool. Leading manufacturing companies around the world recognise computer simulation as a cutting-edge technology for the 21st century. It is rapidly becoming a mainstream business tool in many industrial sectors including automotive and aerospace. This module introduces the principles of computer simulation using an industry-leading discrete-event simulation software (Simio) and its applications within the manufacturing industry. It will also provide a good understanding of the principles and methods for designing, operating and controlling competitive manufacturing systems. Main topics of study include system thinking; dynamic inter-relationships of sub-systems in manufacturing systems; approaches to the design of manufacturing systems; appropriate techniques to manage, optimise and control manufacturing systems; use of simulation models in the design and management of manufacturing systems; stages in simulation life cycle; performance evaluation in manufacturing systems using simulation; and data collection and analysis for manufacturing simulations. This triple module is an integral and substantial part of your masters degree. It will provide you with an opportunity to use and enhance the knowledge and intellectual skills you have gained during the course through an extensive investigation of a proposed postgraduate study related to the course material. You will produce a coherent, sustained and comprehensive research study to demonstrate your ability to generate complex proposals with an awareness of current issues and insights, show originality in the application of subject knowledge and, where appropriate, propose new hypotheses and speculations. You will be challenged to demonstrate a critical understanding of how the boundaries of knowledge are advanced through research in the production of clear, logically argued and original work related to your field of study. This course is delivered through a combination of lectures, tutorial classes, case study discussions, work-related learning activities, research-based learning and computer lab sessions which give you hands-on experience of using software. Assessment involves a mix of exams and coursework, both individually and as a group. A dissertation completes the course. You will normally need an appropriate engineering or science undergraduate degree (2:2 or above) or an equivalent professional qualification or significant industrial and professional experience. If English is not your first language, you will also need an IELTS score of 6.0 or equivalent. The MSc Strategic Engineering Management develops a wide range of knowledge and job-related skills that employers are seeking in many industries, including the manufacturing and service sectors. On completion of your studies, you will be able to make a significant contribution to organisational success and will be well equipped for a variety of management and leadership roles, especially in the engineering, manufacturing and supply chain fields.